Distinguished Colleagues, I am honoured and delighted to invite you on behalf of the Organizing Committee to participate in the “European Summit on Robots, Artificial Intelligence and Autonomous Vehicles’’ during 7th & 8th October in Paris, France. Robots, Softbots and autonomous driving vehicles featuring real artificial intelligence have a wide range of applications and are of great importance influencing our commute, transportations, business processes and other aspects of lives. Self-driving cars face several unsolved challenges such as safety, production scale, as well as user acceptance. The research community is, however, working very passionately to overcome those issues. The guiding idea of the European Summit on Robots, Artificial Intelligence and Autonomous Vehicles is an encouraging cooperation and information exchange on different topics of the specialized theme “A Review on Innovations and Advancements in Technology”, primarily between scientists and experts, but also with potential users of all kinds of global mechatronics and artificial intelligence data. The Congress would also be an exciting opportunity, especially for students, doctoral and postdoctoral fellows, to present their research studies and get acquainted with the latest achievements and comprehensions in different fields of robotics design, self-driving cars technology and artificial intelligence. Interesting and encouraging lectures will be presented by world-class academics and experts that cover a range of disciplines related to robotics: Robotics and Autonomous driving vehicles, Artificial Intelligence, Humanoid Robots, Machine Learning, Neural Networks, and other Intelligent Autonomous Systems. On behalf of the Organizing Committee and on my own behalf I wish everyone successful and prosperous participation at the European Summit on Robots, Artificial Intelligence and Autonomous Vehicles’’ during 7th & 8th October 2019 at Paris, France, and a pleasant stay in Paris, France. Hear, Explore and learn the latest research. Present before the distinguished global audience. Collaborate, build partnerships and experience Paris, France. Join the global academic community. ConferenceSeries llc Ltd invites all the participants across the globe to attend the “European Summit on Robots, Artificial Intelligence and Autonomous Vehicles’’ during 7th & 8th October 2019 at Paris, France. 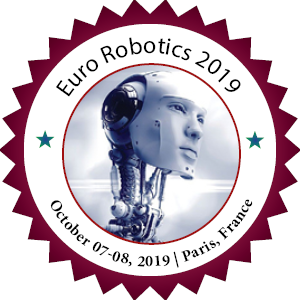 Euro Robotics 2019 includes prompt keynote presentations, Oral talks, Poster presentations and Exhibitions. Euro Robotics 2019 aims to bring together leading academic scientists, researchers and research scholars to exchange and share their experiences and research results on all aspects of Robots, Autonomous vehicles and computer technologies. It also provides a premier interdisciplinary platform for researchers, practitioners and educators to present and discuss the most recent innovations, trends, and concerns as well as practical challenges encountered and solutions adopted in the fields of Robots and Autonomous vehicles. This scientific gathering guarantees that offering the thoughts and ideas will enable and secure you the theme “A Review on Innovations and Advancements in Technology”. Due to incredible technology development, the industries are trying to reduce man power where they trying to increase technologies and functions in various sectors. Now robotics automation is used in each and every company where machines are involved and some or other process is involved. Many fields like robotics, mechatronics, control systems, electronics, wireless, laser technology, automotive motors are depended only on this Artificial Intelligence and Automation functions. The conference organizers aim is to gather the researcher’s academicians and scientists from the field of Industrial Robotics community and to create an approach towards global exchange of information on technological advances, new scientific innovations, and the effectiveness of various regulatory programs towards industrial robotics. With members from around the world focused on learning about robotics and deep learning technologies, this is your single best opportunity to reach the largest assemblage of participants from the Robotics and Autonomous vehicles community. Conduct demonstrations, distribute information, acquire knowledge about current and trending robotic and deep learning technologies, make a splash with a new research, and receive name recognition at this 2-day event. World-renowned speakers, the most recent techniques, tactics, and the newest updates in Industrial Robotics fields by using computer advanced applications are hallmarks of this conference. Paris, the capital of France, is historic monuments and also considered as political and economic landmark with a population of about 2.6 million lies in the northern part of France considered one of the foremost lovely urban populated area within the world that Most of it had been refurbished by Haussmann within the nineteenth century later divided twenty districts that are numbered one to twenty. The city of lights with its nightlife is rich with the exquisite cabarets such as the Moulin Rouge, Lido and the Crazy Horse. Gastronomic restaurants with the finest cuisine from France are numerous and at all best in class. One of the greatest art museums in the world, Located in the heart of the French capital. Also includes Eiffel Tower, the monument that is constructed by Gustave Eiffel in 1889 that is taken into account to be the foremost well-known. The Famous boulevards and city centre buildings were transformed by Haussmann and Charles Louis Napoléon Bonaparte. The wide streets, places and squares were built and the buildings completely renovated. The atmosphere was totally enchanted Champs-Élysées, whilst preserving historical buildings such as Notre Dame. This also influenced other French cities to change. Professors and students from academic in the study of industrial robotics and deep Learning field. 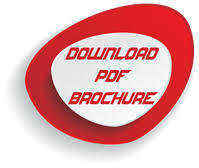 All accepted abstracts will be published in all respective supporting International Journals. Robots can be used in any situation and for any purpose, but today many are used in dangerous environments, manufacturing processes, or where humans cannot survive. Robots can take on any form but some are made to resemble humans in appearance. This is said to help in the acceptance of a robot in certain replicative behaviours usually performed by people. Such robots attempt to replicate walking, lifting, speech, cognition, and basically anything a human can do. Many of today's robots are inspired by nature, contributing to the field of bio-inspired robotics. After various recent achievements in medical robotic research, people have begun to recognise the distinctive advantages of using robots for medical purposes. The main reasons that have drawn much attention to robotic systems results from their capability in carrying out a variety of surgical and other medical tasks with high accuracy and repeatability, and their ability to provide surgeons with enhanced visual feedback. Sophisticated technology, for a majority of manufacturing activities in fabrication, forming, machining and assembly facilities, will be a significant contributor to productivity improvement with substantial gains in the quality of products in the face of tough challenge and competition Industrial Robots have been in use for about 50 years. The Present-Day Robots at Work: Industrial Robots have come to play a widespread and crucial role in many industrial operations today. These robots are almost always of the Jacquard type—with few human features— rather than the Jacquet-Droz, doll-like style. The work that robots do can be classified into three major categories: in the assembly and finishing of products; in the movement of materials and objects; and in the performance of work in environmentally difficult or hazardous situations. For autonomous agents it is essential to have a clear view and understanding of their surroundings to be able to navigate safely. To generate this view many different types of sensors including vision, lidar, radar, ultrasound, hyper spectral, infrared and other sensors can be used. The fusion can be based on a time series of data from the same type or from several different sensing modalities, the latter called multi-modal sensor fusion. Multi-modal sensor fusion offers advantages in terms of being able to sense various complementary aspects of an object or scene with the different modalities, i.e. increasing information gain. Due to the uncertain nature of sensor measurements, the fusion of the (time series) data is non-trivial. And as soon as the sensors are mounted on a moving agent the issue of synchronization, drift, blur and others makes the fusion yet more difficult. Fusing sensors with different modalities is even more challenging because the sensors perceive different aspects of the environment. One sensor might sense an object while the other sensor might not see it at all because of the material of the object, for instance seeing through glass with a visual camera and getting a return with an ultrasound sensor. Oftentimes the sizes and the distances to the objects are also reported differently. These aspects make multi-modal sensor fusion non-trivial. Vehicle self-localization is an important and challenging issue in current driving assistance and autonomous driving research activities. Mainly two kinds of methods for vehicle self-localization: active sensor based and passive sensor based. Active sensor based localization was firstly proposed for robot localization, and was introduced into autonomous driving recently. The Simultaneous Localization and Mapping (SLAM) techniques are the representative in active sensor based localization. The passive sensor based localization technologies are categorized and explained based on the type of sensors, Global Navigation Satellite System (GNSS), inertial sensors and cameras. Finally, our challenges on self-localization in urban canyon by the system integration of passive sensors are introduced. GNSS error has been improved for the purpose of the self-localization in urban canyon. The performance of the proposed method would suggest possible solution autonomous vehicles which makes use of passive sensors more. An intelligent transportation system (ITS) is an advanced application which, without embodying intelligence as such, aims to provide innovative services relating to different modes of transport and traffic management and enable various users to be better informed and make safer, more coordinated, and 'smarter' use of transport networks. An intelligent Transportation system is an emerging transportation system which is comprised of an advanced information and telecommunications network for users, roads and vehicles. An intelligent Transportation system is the integrated application of advanced Technologies using electronics, computers, communications, and advanced sensors. These applications provide travellers with important information while improving the safety and efficiency of the transportation system. Artificial intelligence is a behaviour based-system concept in robot. Artificial Intelligence brings intelligent behaviour to the robot to be able to provide services to humans in unpredictable and changing environments, such as homes, hospitals, the work place, and all around us. Artificial Intelligence is a way of making a computer, a computer-controlled robot, or a software think intelligently, in the similar manner the intelligent humans think. Artificial intelligence is accomplished by studying how human brain thinks and how humans learn, decide, and work while trying to solve a problem, and then using the outcomes of this study as a basis of developing intelligent software and systems. In the real world, the knowledge has some unwelcomed properties. The abundance of increasingly affordable computing power lends itself to new and demanding applications. In the environmental field, one of the most demanding problem areas is that of environmental systems analysis, subsuming the areas of policy design, planning and management. These areas and their problems are characterized by their multi- and inter-disciplinary nature, as well as the often dominating importance of political and judgemental elements, as opposed to purely technical, scientific problems. Thus, since the classical, formal approaches to technical problem solving are not strictly applicable, and the people involved are not necessarily technically trained experts but will include elected representatives, interest groups, and the general public, new methods of problem solving, or applied systems analysis, and new methods of communicating scientific and technical information have to be developed. Cyber security refers to the body of technologies, processes, and practices designed to protect networks, devices, programs, and data from attack, damage, or unauthorized access. 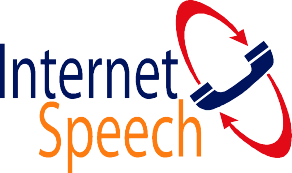 Cyber security may also be referred to as information technology security. Cyber security is important because government, military, corporate, financial, and medical organizations collect process and store unprecedented amounts of data on computers and other devices. A significant portion of that data can be sensitive information, whether that is intellectual property, financial data, personal information, or other types of data for which unauthorized access or exposure could have negative consequences. An organization transmit sensitive data across networks and to other devices in the course of doing businesses and cyber security describes the discipline dedicated to protecting that information and the systems used to process or store it. The Internet of things (IoT) is the network of physical devices, vehicles, home appliances and other terms embedded with electronics, software, sensors, actuators,and network connectivity which enable these objects to connect and exchange data. Each thing is uniquely identifiable through its embedded computing system but is able to inter-operate within the existing Internet infrastructure The Internet of things allows objects to be sensed or controlled remotely across existing network infrastructure, creating opportunities for more direct integration of the physical world into computer-based systems, and resulting in improved efficiency, accuracy and economic benefit in addition to reduced human intervention. When Internet of things is augmented with sensors and actuators, the technology becomes an instance of the more general class of cyber-physical systems, which also encompasses technologies such as smart grids, virtual power plants, smart homes, intelligent transportation and smart cities. Robots, Artificial Intelligence and Autonomous Vehicles are the platforms to gain and share the knowledge in the new technological developments in the fields of Mechatronics Engineering, Automation Engineering, Mechanical Engineering and Electronic Engineering. This conference brings together Professors, Researchers, Scientists, Engineers, Technologist and Practitioners in all the areas of Robots, Artificial Intelligence and Autonomous Vehicles and provides an international forum for the spreading of approved research results, new ideas and practical developments. We are honoured to invite you all to attend and register for the “International Conference on “Robots, Artificial Intelligence and Autonomous Vehicles ", during 7th & 8th October 2019 at Paris, France. The organizing committee is gearing up for an exciting and informative conference program including plenary lectures, symposia, workshops on a variety of topics, poster presentations and various programs for participants from all over the world. We invite you to join us at the prestigious conference Euro Robotics 2019, where you will be sure to have a meaningful experience with scholars from around the world. The influence of global trends like electric mobility and the rising demand for consumer goods in emerging nations has made a lasting impact on technological developments by changing requirements for machines and systems, thereby necessitating new design and manufacturing approaches. 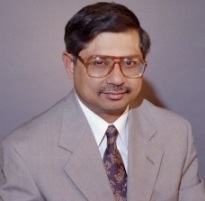 One promising approach to which engineers and their automation partners are increasingly turning is mechatronics, which has been aptly described as a synergistic collaboration between mechanical engineering, electrical engineering, and information technology in the design and production of industrial products and the design of processes. Mechatronics can help ensure design and project success on a number of levels including improved product performance, space savings and cost savings. Mechatronic robotics and handling systems are critical components for factory automation, enabling motion sequences that would otherwise require extensive manual labour, such as automatic equipment assembly, loading and unloading, picking and palletizing. In modern automotive factories, up to 95% of body-in-white processes where a car takes shape are automated, saving labour and materials costs. In a typical welding application, for example, a robot might place 30 welding spots every 60 seconds, achieving short cycle times and an extremely high level of repeat accuracy. The global Agricultural Robots and Mechatronics market has been estimated to reach USD 5.54 billion by 2020, at a CAGR of 11.3% during the forecast period from 2015-2020. Robotics Technology Market is expected to reach $82.7 billion by 2020, registering a CAGR of 10.11% during 2014 - 2020. Robotics technology is a combination of machine, tools and computer applications used for various activities including designing, manufacturing and other applications of robots. Use of robotics technology allows consumers to automate processes, increase productivity, enhance quality and reduce human errors. Robotics technology is used in a wide range of industries including healthcare, defence, aerospace, automotive and infrastructure. Robots are used for numerous activities encompassing assembling products, product inspection, space missions, cleaning and household chores. A dynamic rise in the number of smartphones and tablets supplements the process of robot development and contributes to the growth of the global market. With the growth of robotics technology, there would be a significant increase in the number of jobs available for the human workforce. The research study has made use of several analytical tools in order to determine the growth prospects and opportunities for the global automation market in the next few years. The research report on the global market for automation further presents an in-depth study of automation technologies. It further offers data on the major market dynamics that are driving the market’s growth. The research report also studies the current technology trends for automation and their implications. A detailed competitive scenario, along with regional and global analyses, has also been included in the scope of the research report. It also comprises recommendations and inputs given by industry experts to help the major players and decision makers while formulating effective business policies. According to Markets and Markets’ forecast, the overall machine vision market was valued at USD 8.12 Billion in 2015 and is expected to reach USD 14.43 Billion by 2022, growing at a CAGR of 8.15% between 2016 and 2022. The growth of this market is driven by the increasing need for quality inspection and automation across industry verticals, the surge in demand for vision-guided robotic systems in automotive, pharmaceutical, food and packaging, and industrial sectors, and growing demand for application-specific machine vision. The “6th world Convention on Robots, Autonomous Vehicles and Deep Learning’’ during 10th & 11th September 2018 at Singapore. The conference was organized on a single theme “A Review on Ethical and Social Implications of Robots”, Which comprised of 19 Tracks designed to offer comprehensive sessions that address current issues in the field of Robotics, Autonomous Vehicles and Deep Learning. This annual conference brought together eminent scientists from more than 25 countries in which many critical issues were discussed in depth, to provide up-to-date information to the world. On the other hand, the meeting provided the best platform for young researchers to share their ideas and experiences and for eminent people to speak on their scientific research. The conference was greeted by the welcome message by our moderator Dr.Martin Heide Jorgenson, University of Southern Denmark , Denmark and initiated with a keynote series of well-known speaker Juan Pedro Bandera Rubio, University of Malaga, Spain, Yuji Iwahori, Chubu University, France, Adrain Fazekes, RWTH Aachen University, Germany, Emdad Khan, Internet Speech, USA, Zhou XING, Borgward Automotive Group, USA, Sunan Huang, Temasek Laboratories-National University of Singapore, Singapore, Jun Kurihara, The Canon Institute for Global Studies, France, Baoming Zhang, Zhengzhou University, China, Zhihui Gong, Zhengzhou University, China, Soo Yeung Lee, Korea Advanced Institute for Science and Technology, Republic of Korea, Mingcong Deng, Tokyo University of Agriculture and Technology, France , Qingsong Xu, University of Macau, China , Manchita Dumlao, The Philippine Women’s University, Philippines , Rattapon Thuangtong, Mahidol University, Thailand, Aleksei Yuzhakov, Promobot LLC, Russia, Caner Sahin, Imperial College London, UK and Suranjana Trivedy, GATE IIT Training Institute, India. Conferenceseries llc LTD wishes to acknowledge all the Organizing Committee Members, Moderator, Keynote Speakers, Chair and Co-chair, Editorial Board Members of Conferenceseries llc LTD group journals, Speakers, Students, Delegates, Associations and Media Partners in making this event a great success. We are also obliged to various delegate experts, company representatives and other eminent personalities who supported the conference by facilitating active discussion forums. We sincerely thank the Organizing Committee Members for their gracious presence, support, and assistance with the unique feedback from the conference.